When it comes to selecting a WordPress theme for your website, most people will tell you that its risky to go with a free theme. Indeed, free themes are often created by amateur developers who don’t offer much support. Most website owners will suggest that you stick with a premium WordPress theme with solid support. However, going with a premium theme is not an option for people who are bootstrapping. But you needn’t worry – there are many free WordPress themes that boast of a quality design with good support. In fact, some free themes even offer better functionality than premium themes and look just as great, if not better. As someone who has spent years with WordPress, I wanted to take this opportunity to review some free WordPress themes. Today, we’ll be looking at 10 of the best free WordPress themes that are available in the market today. Whether you’re a blogger, hobbyist or business owner who wants to save money, these themes are an excellent choice. Each of the themes that I will be reviewing are incredibly powerful. These free themes will surely make you think twice before paying for a premium theme. 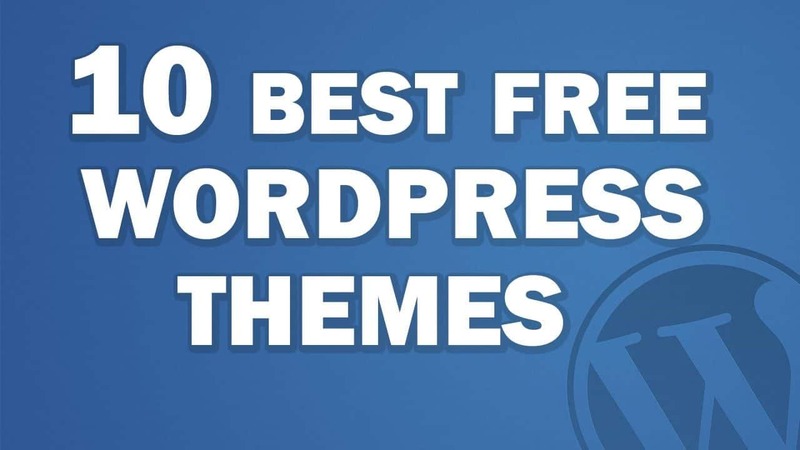 Now, without any further ado, let’s take a look at these free WordPress themes. Flash is a free and flexible responsive WordPress theme which is quite popular with the community. This theme is simple, yet elegant and boasts of having an array of amazing features. In fact, many of the features in this theme are mostly available only in premium themes. The Flash WordPress theme is suitable for designing multipurpose websites and is a great choice for beginners and professionals alike. Flash is considered to be one of the most popular free WordPress themes with users in 2017. 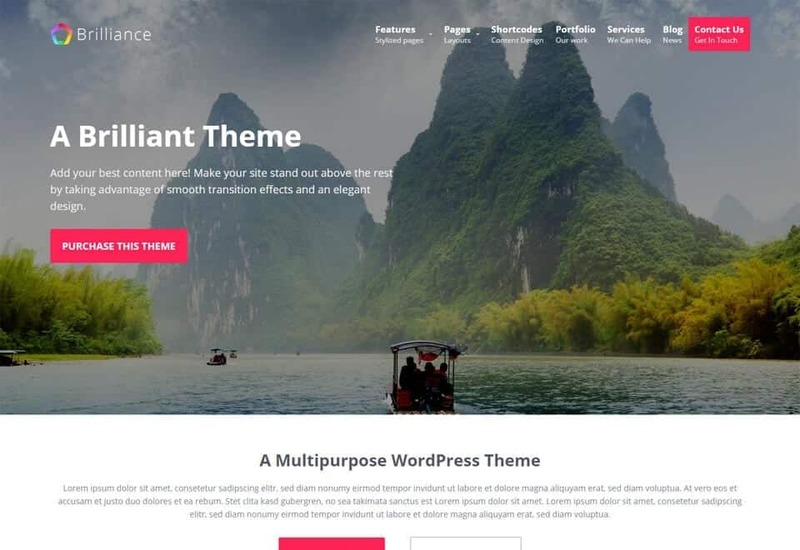 This theme currently powers more than 9,000 WordPress websites. The Flash theme has been built using the modern WordPress Live Customizer. It comes integrated with some powerful plugins including Flash Toolkit plugin and SiteOrigin’s Page Builder plugin. Moreover, this theme includes over 11 useful WordPress widgets, which allow you to drag and drop or mix and match page elements. Thanks to these amazing features, Flash makes building a WordPress website extremely easy and straightforward. In fact, this theme is so powerful that it offers endless design possibilities. I love the fact that for a free theme, the Flash theme also offers decent support. This is not something that you can usually expect from a free WordPress theme. The Flash WordPress theme is a fully responsive theme which works wonderfully well on any device. Moreover, this responsive theme includes a “one-click demo” import option. You have 4 demos to choose from and you can import data and start building a website with just a single click. Flash is also fully compatible with social icons and WooCommerce. It is WPML ready and is very friendly to search engines. Hestia is another very popular WordPress theme with the community. It is available in two versions – Hestia Lite, which is the free version and Hestia Pro, which is the premium version. While the premium version is extremely powerful, Hestia Lite is itself much more than just another free WordPress theme. In fact, Hestia Lite is so powerful that it is actually recommended for creating business websites. The Hestia Lite is a material design theme which is modeled on a one-page layout. It boasts of having an attractive looking and modern interface and is very easy to use. It is a very slick and stylish theme – something that you don’t generally expect from a free theme. Moreover, it offers a plethora of features and functionality, making it one of the best in the market today. Hestia Lite is a fully responsive WordPress theme which works perfectly across all devices. This free theme is suitable for startups and business websites and works perfectly for creative and corporate purposes both. It presents a flexible and clean appearance, includes a featured slider and is compatible with an array of plugins. I love many of the features of Hestia Lite, including its compatibility with drag and drop builders and WooCommerce. This makes it extremely easy to build a website using this theme. Hestia Lite also supports the WordPress Live Customizer and includes the built-in Sendinblue newsletter subscription form. The footer of this theme offers full widget support, meaning that you can customize it according to your needs. For a free WordPress theme, Hestia Lite offers stunning features and also has good support. Whatever type of WordPress website you may be building, you won’t go wrong in choosing Hestia Lite. Accesspress Parallax is a modern looking and stylish single page free WordPress theme. It features an interactive and very catchy design and includes a full main image. This theme has been designed keeping the principles of simplicity, elegance and beauty in mind. It is an intuitive theme which is packed with plenty of features. For a free WordPress theme, Accesspress Parallax does not lack features or functionality. This theme has been modeled on Parallax design, which is one of the most widely implemented designs these days. Unlike most free themes based on this design, Accesspress Parallax is strikingly beautiful, rich with features and is fully complete. Accesspress Parallax is easily customizable and it offers full widget support, including WooCommerce and bbPress. It is based on CSS3 and HTML codes and includes social buttons, a contact form, photo and video galleries and 3D parallax scrolling. Thanks to its flexibility, this theme can be used by small and big businesses both. 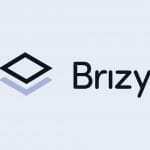 It is suitable for creating different types of websites ranging from travel to healthcare and portfolio sites, among many others. I simply love the solid coding behind Accesspress Parallax. Despite being a free theme, it boasts of stunning frontend designs and a header capable of displaying text or imagery. Moreover, this theme is backed by knowledgeable developers who offer great support. 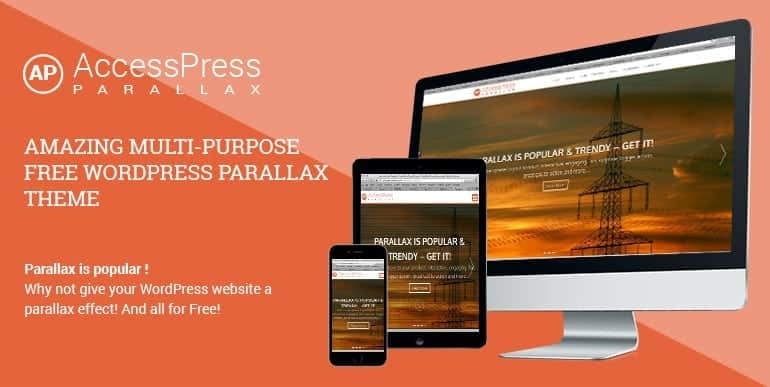 To sum it up, Accesspress Parallax is a wonderful free WordPress theme which offers striking looks and excellent functionality. It is an intuitive theme that is designed for everyone and anyone. OceanWP is an incredibly lightweight and highly extendable WordPress theme which is rapidly growing in popularity. In fact, it is considered to be one of the fastest growing free WordPress themes today. It is used by over 10,000 developers and hobbyists from all over the world. This multi-purpose WordPress theme boasts of full functionality and it is also well supported by its developers. OceanWP is suitable for building small business websites, blogs and entrepreneurship projects. It is a fully responsive theme which is fully customizable. Moreover, this theme is also eCommerce ready, thanks to WooCommerce compatibility. The theme has been designed with the best SEO practices in mind and also offers RTL support. For a free WordPress theme, OceanWP is incredibly well coded and is extremely secure. 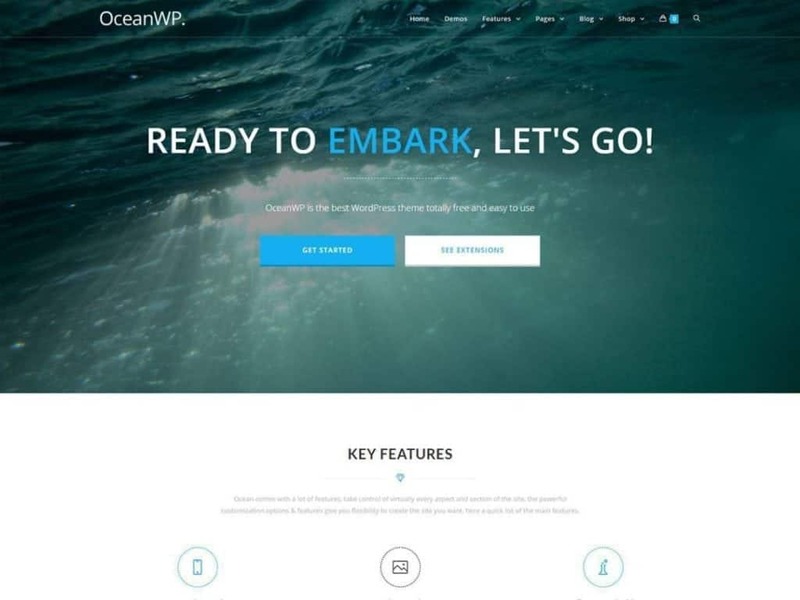 OceanWP is a very intuitive theme and it allows users to build a website in a matter of minutes. It features very useful options which make it easy to create large menus. Moreover, the lightweight nature of this theme makes it one of the fastest loading themes today. When it comes to customization, OceanWP is second to none. This theme includes multiple regions for adding widgets and includes several options for personalization. Seasoned developers will also appreciate the extensible codebase. OceanWP has also been designed to work with the best page builders available in the market today. All in all, OceanWP is a fantastic free WordPress theme which you shouldn’t ignore. Whether you’re building your first website or creating an advanced site, this powerful theme offers everything that you need. 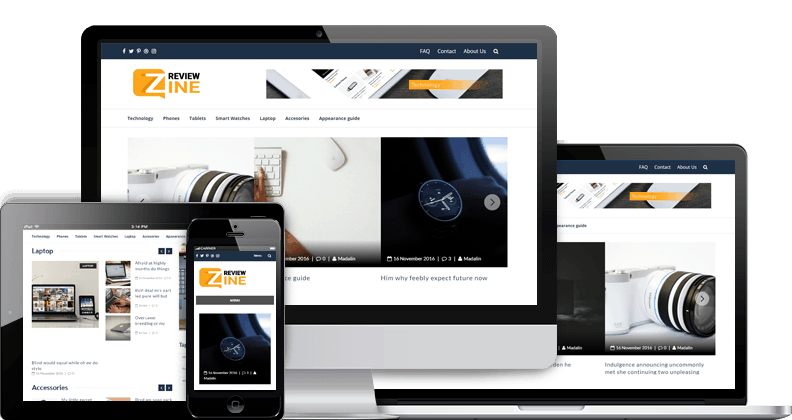 While many free WordPress themes are designed for multipurpose use, ReviewZine is different. It is a theme which is designed to create WordPress review websites and it certainly looks awesome! This theme presents a neat and modern appearance, it is fully responsive and is SEO friendly as well. This WordPress theme is ideal for bloggers, tech magazine websites, photography websites, news websites and fashion blogs. It is also a great choice for creating affiliate marketing websites. For a minimalistic theme, ReviewZine is highly functional and packed with plenty of features. The code behind this theme is clean and validated and is easily editable by anyone with basic knowledge of PHP/HTML. ReviewZine also includes a useful theme options panel and an intuitive interface, which makes it easy to adjust website settings. This theme is also fully compatible with most browsers being used today. There are many reasons to love ReviewZine, apart from its fantastic looks. This theme has been designed with Bootstrap, it is retina ready, flat and includes social links. ReviewZine comes with AdSense banners, custom backgrounds, homepage templates, tags and filtered categories in a boxed layout. Moreover, this theme includes a responsive slider, rich snippets, an advanced rating chart and built-in advertising blocks in key areas. I also love the built-in live customizer, which makes editing website contents very simple and straightforward. ReviewZine is also compatible with a range of third party plugins and offers full widget support. This theme also supports localization, so it is a great choice even if you’re building a non-English website. Developers will also love the fact that this free WordPress theme is highly customizable. Astra is a very powerful and responsive free WordPress theme which features a clean and minimalistic appearance. It is a flexible multipurpose theme which is also based on parallax design. Astra is very easy to customize, highly flexible and is very well coded indeed. Despite being a free WordPress theme, it is suitable for creating professional and personal websites both. This theme is incredibly lightweight and it guarantees faster development and lightning fast website speed. Astra also offers easy editing options that work with or without page builders. Moreover, most of the customization options of this theme can be edited with a single click. This theme makes it ridiculously easy to create a website and it also includes a live customizer. It can be used both by expert developers and also by people with no coding knowledge. Apart from offering exceptional performance, Astra is also compatible with page builders, plugins and widgets. It also includes a range of professional templates, is beginner friendly and is WooCommerce ready. This theme is supported by an expert team of developers who are incredibly knowledgeable and friendly. 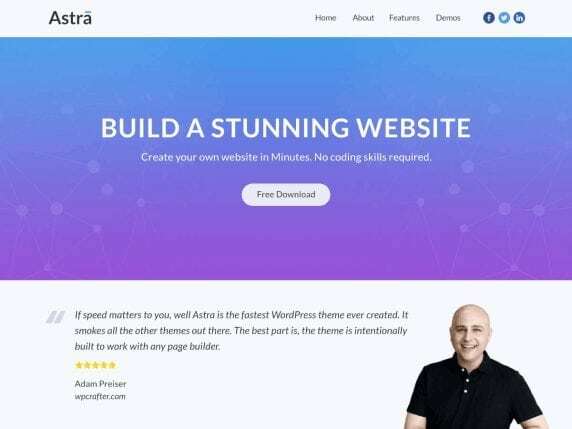 No wonder thousands of people rate Astra as one of the best free WordPress themes and it has already crossed over 100,000 downloads. I love Astra because of its user friendliness and extensibility. It is an open source theme which is designed with high quality and clean coding. This theme also supports custom CSS code, is SEO friendly, translation and RTL ready and includes a range of hooks and filters. Simply put, Astra is not just another free WordPress theme. In fact, with its features, functionality and impressive looks, it does well to rival premium themes. Whatever website you may be building, this theme will perfectly work for you. 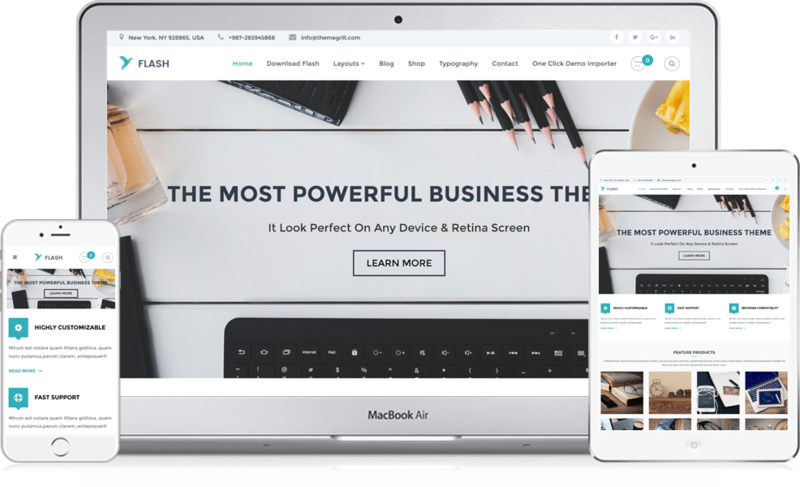 SCREENR may be relatively new to the world of free WordPress themes, but it is already quite popular with users. It is a stylish and bold full screen theme which is suitable for multipurpose use. This theme will be loved by anyone who appreciates good design. It is ideal for creating portfolio sites, small business sites, product showcases, digital agency and freelance websites. SCREENR is available in both free and premium versions. However, the free version offers almost as much as the premium version. The first thing you’ll notice about this theme is its bold design which includes large background images. In addition to its striking looks, it also boasts of great functionality. It is a fully responsive theme which has been built on Bootstrap. It has a great, clean code behind it, which allows users to create highly streamlined websites. This theme is also based on Parallax design and as such, it features parallax scrolling. SCREENR is highly flexible and it can easily be customized, even by people with no knowledge of coding. It includes a 3-column content block as standard which makes it very easy to display information. The theme also includes separate sections for company logos, affiliate links, blog posts, or a video box. Downloading and installing this theme is a total breeze. 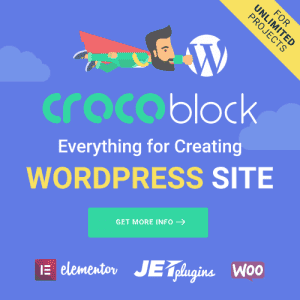 With this theme, you’ll be able to design and create a WordPress website in a matter of minutes. 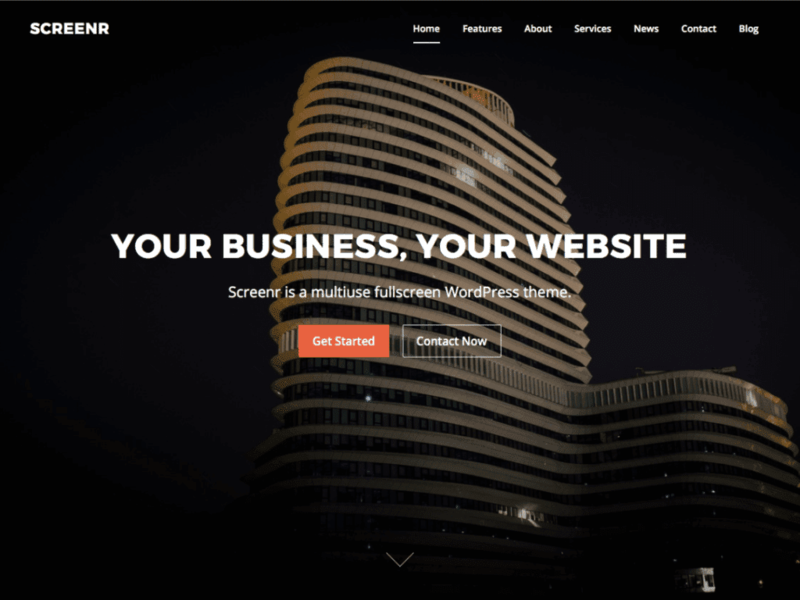 While SCREENR seems to be a well-rounded free WordPress theme, I do have one gripe with it. This theme only allows full screen image sliders on the landing page and not on any other page. This can be a problem with people (like myself) who want to use sliders on different website pages. Apart from this, SCREENR is a wonderful out of the box theme that offers excellent functionality. GreatMag is another free WordPress theme which is designed to create online magazine websites. It sports a clean and modern look and includes all the tools required to build an awesome website. In spite of being a free theme, GreatMag includes tons of color options, custom widgets, font control and lots of flexibility. This theme is ideal for creating any type of blog, magazine or news website and it can be used by beginners and seasoned developers both. This theme comes with some excellent features – so much so that it rivals many premium themes in the market. It includes bundled widgets and is integrated with the Page Builder plugin. 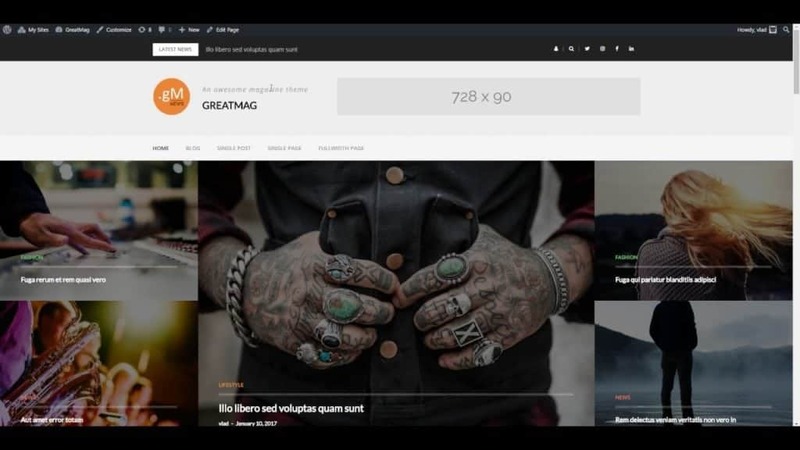 Moreover, GreatMag allows users to choose from different page layouts and includes a powerful theme customizer. It is a fully responsive theme which is 100% translation ready and includes free access to Google Fonts. Building a website using this theme is an extremely simple and straightforward process. There are a number of things that I like about GreatMag. First off is the live customizer, which makes editing website elements very easy and it also supports most modern web browsers. Moreover, this theme has been designed with WordPress best practices in mind and it features a very clean code. This theme is supported by an expert team of developers who push updates frequently. As such, GreatMag is usually up to date with the latest WordPress version. And, needless to say, the developers offer excellent support to users. To put it in short, GreatMag is a wonderful free WordPress theme which seems to offer everything to users. It is highly recommended for anyone who is building their first blog, online magazine or newspaper website. Brilliance is another great free multipurpose WordPress theme which is very popular with users. It boasts of having a clean and responsive layout that allows content to pop out. This theme works wonderfully well for creating corporate websites, agency websites and even online magazines. Moreover, Brilliance is incredibly intuitive and anyone can use it to create a website in minutes. Brilliance is available in two versions – Brilliance Lite, which is free and Brilliance Pro, the premium version. While the premium version offers stunning functionality, the lite version also works very well for many purposes. It is completely customizable and offers users full control over page layouts. 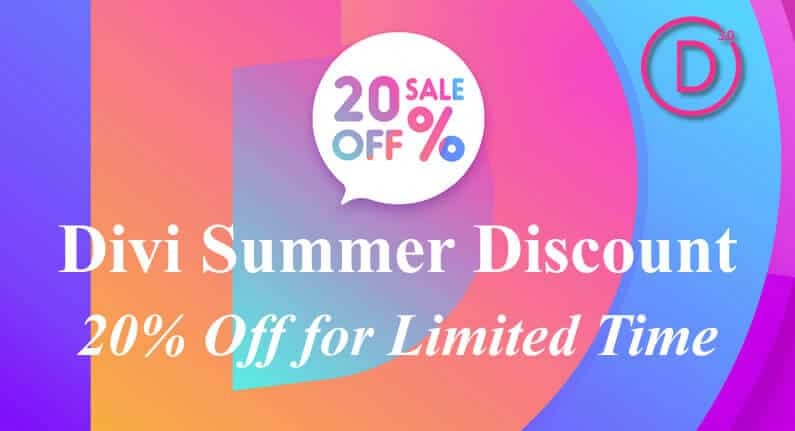 Moreover, this theme is compatible with the most used plugins, including WooCommerce, WordPress SEO, WPML, Contact Form 7, Fancier Author Box and several others. It also offers support for many third-party widgets including CPO Widgets, CPO Shortcodes and CPO Content Blocks among others. Brilliance Lite is a one-page template which comes with custom shortcodes, custom typography and limitless colors. The default theme includes home page layouts and multiple content sliders. It also includes multiple page templates which allows users to create differently styled webpages. This theme comes complete with social icons, a contact form and a call to action button on a sticky navigation menu. While Brilliance Lite works wonderfully well, one thing I’d like to point out is that the developers only offer support for Brilliance Pro. Also, developers do not push updates to this free theme, but they do fix bugs. Nevertheless, this free theme is quite intuitive and pretty easy to use. Also, given that so many people are already using this theme, community based support is plenty. The last in this list, Optimizer is yet another popular free multipurpose WordPress theme. It is a stunning looking theme which is also highly flexible, customizable and includes plenty of features. Also, Optimizer is very intuitive and easy to use and anyone can customize it without having to touch the code. It is a fully responsive theme which works perfectly well across all devices and all modern browsers. 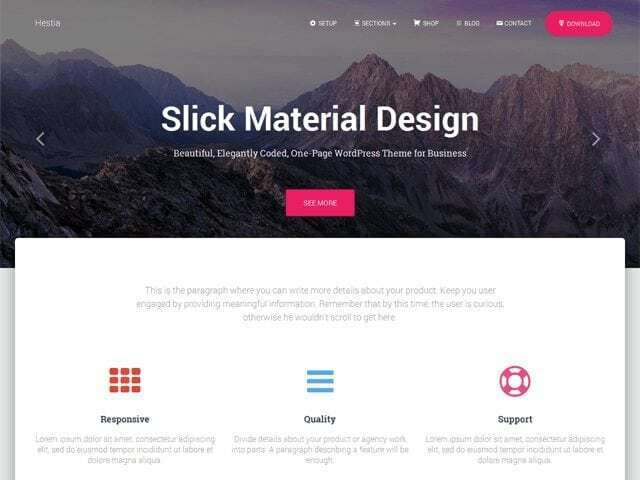 This free theme can be used to create any type of website, including ecommerce sites, small business sites, portfolio sites, corporate sites, personal sites and everything else in between! Optimizer comes with two types of site layouts, including a boxed layout and a full width layout. Both layouts feature amazing image sliders, over 600 fonts, unlimited color options, custom CSS field and easy uploading of logos. Optimizer has been coded very well using CSS3 and HTML5, making it SEO friendly, retina ready and mobile optimized. 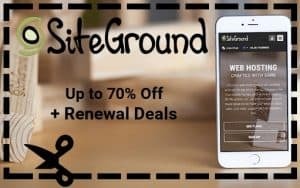 The theme is also compatible with an array of plugins including WooCommerce, Contact Form 7, MailChimp, bbPress and several others. Moreover, Optimizer also supports localization and it is translation ready. For a free theme, Optimizer has been tested rigorously to offer the best performance. The code is highly secure and clean and this theme is optimized to offer the fastest page loading speeds. 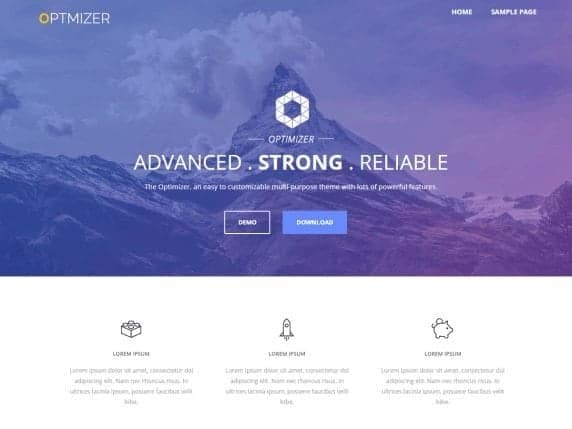 Some things you’re sure to love about Optimizer include its customization panel, footer options, home page image and various post and page options. The theme includes multiple areas for adding widgets as well. Also, Optimizer has been very well-documented and there are several tutorials to help beginners out with this theme. All in all, Optimizer is a great theme and it offers a superb amount of options for a free theme. If you’re bootstrapping and looking to create a website without much investment, you can blindly go with this theme. There are several free WordPress themes available in the market today. However, the free themes I have mentioned are arguably the most popular with users all over the world currently. Every one of these themes are very easy to use, offer great functionality and allow you to get started in minutes. Do you use any of these themes? Are there any great free themes that you’d like to recommend that I may have missed out on? Do let me know in the comments below! let me know what wordpress themes worked for you! Can you suggest best theme for creating website for our church. Maily looking ability to have events calendar.